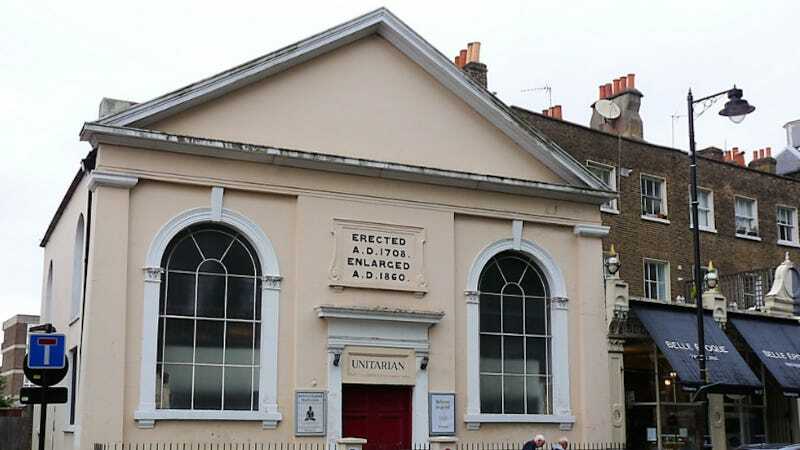 Mary Wollstonecraft, author of A Vindication of the Rights of Women, once attended church at Newington Green, where she was influenced by radical preacher Dr. Richard Price. The unitarian church was a hub for philosophy, discussion and political influence, and now it’s in disrepair. The Telegraph reports that the church, founded in 1708, is in “poor condition” according to the Historic England foundation, which regularly assesses England’s historic attractions. The church was originally founded by English Dissenters, who were unhappy with the government’s interference with religious groups. Wollstonecraft is said to have been inspired by the many conversations she had with Price and other intellectuals who congregated around Newington Green. In 1790, she wrote A Vindication of the Rights of Men, which attacks the aristocracy and supports Republicanism. It’s said to be a direct response to criticism of Price by Edward Burke. In March of 2016, The Independent reported that Nicky Morgan, the Education Secretary and Minister for Women, was interested in funding a statue of Wollstonecraft, but she’s not quite there yet. The Silent And Painful Killer: "Childbed Fever"